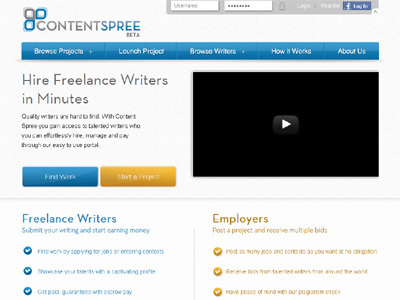 Content Spree enables businesses to quickly and easily find qualified writers for their projects. We manage the process from start to finish. Everything from selecting a writer, communicating with the writer during the creative process, and paying the writer after project completion is handled through Content Spree.